And then there are the ones who're just trying too hard. Josh "Herve" Harvey leads the chaotic life of a producer, DJ, remixer and is also one half of The Count & Sinden, whose album Mega Mega Mega caused a frisson of anticipation back in 2010. Quite why he'd want to jack all that in is anyone's guess, even temporarily, but a hiatus has been called, starting the process of making a record which isn't so much out of character as off the programme entirely. 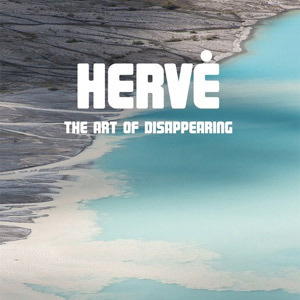 As unexpected as it might be confusing to fans, The Art of Disappearing probably illustrates why it's sometimes good to be your own label boss (Harvey also runs the Cheap Thrills imprint), as under a different regime, it might've been a difficult pitch. Basically then, the story is this: once upon a time in British music there was bass, bass, and more bass, and some of the banger jammers decided that it was time for something "Different". In Harvey's case, though, this is half the problem: what he and the various collaborators here have come up with is locked in the post trip hop miasma of the late 90's, the kind of thing your Olives, Smoke Cities or Sneaker Pimps came up with once upon a time.